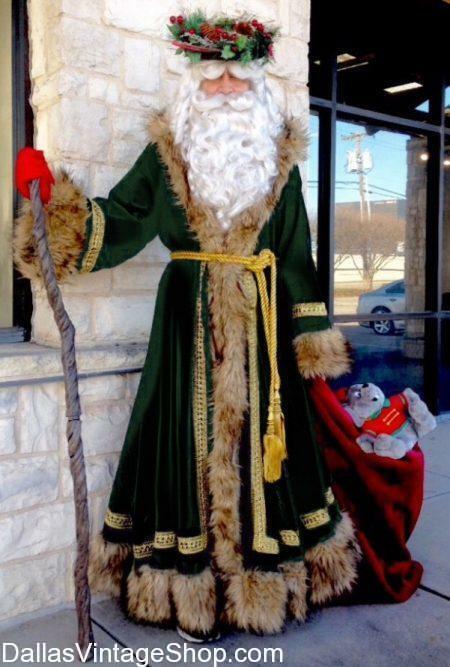 This is just one of the many, many Santa Costumes we offer at Dallas Vintage Shop. This British Version of Santa, Father Christmas Costume, is an example of the Variety, Quality and Details we offer when it comes to our Huge Inventory of Santa Costumes, Santa Beards, Santa Wigs, Santa Gloves tons of other Santa Costume Accessories we keep in stock. Get Complete Santa Costumes or just the Santa Costume Accessories you need. We have everything you need and more than you could imagine, all in our Ont Stop Santa Costume Shop. We also have International Costumes for Holiday & International Festivals. This entry is filed under English. You can follow any responses to this entry through the RSS 2.0 feed. Both comments and pings are currently closed.